The United Nations Children's Fund is reporting that more than 1 million children are facing life-threatening malnutrition due to serious food shortages in eight Northern and Western African countries. Food insecurity and widespread, acute malnutrition are chronic problems in the Sahel, where UNICEF officials are urging quick action to avert a humanitarian crisis. In 2010, millions of people faced hunger due to poor rainfall and subsequently poor harvest, and UNICEF projects that next year will be even worse than 2010. The agency says the food and malnutrition crisis, which is expected as early as February, is compounded by the return of some 200,000 migrant laborers, many of whom had been working in Libya for years before the civil war and sending large amounts of money to their families back home. These remittances now are lost. Most of the migrants come from northern Nigeria, Mali, Niger and Mauritania. 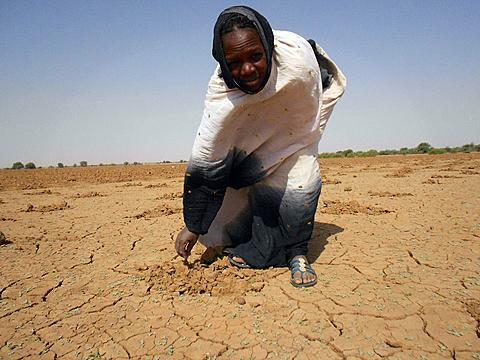 Chad, Burkina Faso, the north of Cameroon and northern Senegal also are affected by the food shortages. David Gressly, UNICEF Regional Director for West and Central Africa, says more than 1 million children in these countries face severe, acute malnutrition - a condition that puts their lives at risk. Gressly says UNICEF and other aid agencies are working on an integrated plan to pre-position food and other essential supplies in at-risk countries in the coming weeks. He says each agency, such as the World Food Program and the World Health Organization, has a particular function to perform. UNICEF’s primary responsibility is treatment of acute malnutrition, which, he says, involves therapeutic feeding to help children recover from the life-threatening condition. While the outlook is alarming, Gressly says there is still time to avert a humanitarian catastrophe on the order of that occurring in the Horn of Africa, explaining that a couple of months remain to get food into the pipeline. Since countries in the Sahel are landlocked, he says it is important to get started as soon as possible, and that, if an emergency is declared, it will be a lot cheaper to send relief supplies by road than by airplane. He says UNICEF needs $71 million to provide therapeutic treatment, a figure likely to rise substantially as the crisis strikes throughout 2012.